UNLIMITED SAHARA EDITION, NAVIGATION SYSTEM, HARDTOP CONVERTIBLE, AUTOMATIC, WARRANTY AND NEW! TOP OF THE LINE VEHICLES.......BELOW THE LINE PRICES!!! We only sell the best of the best for less than the rest!!! We at Castle Car Co strive to offer premium low mile vehicles for less than you will pay at the giant car stores!! Please call 724-657-1551 you will be glad you did!!! 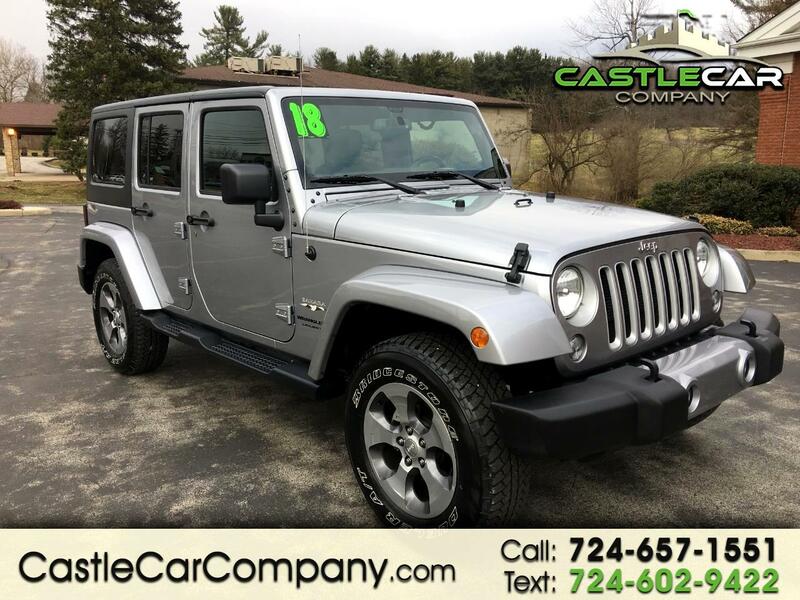 Visit Castle Car Company online at www.castlecarcompany.com to see more pictures of this vehicle or call us at 724-657-1551 today to schedule your test drive. We at Castle Car Company specialize in late model hard to find vehicles and offer them at prices below market value!! Our customers come from Pittsburgh, Pa, Youngstown, Oh, Erie, Pa, Cleveland, Oh and many more cities to get the best value on a premium automobile! Message: Thought you might be interested in this 2018 Jeep Wrangler JK Unlimited.